Just as there are tools and techniques for the preservation of the Library’s physical objects, there are tools and processes that facilitate the preservation of digital objects. The Library approaches the preservation of digital items with the same ideals of stewardship it applies to physical materials. 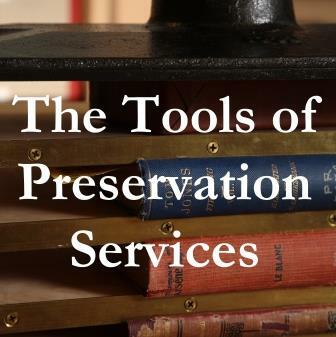 Its preservation strategy encompasses all: the ultimate aim of preservation activities at the Library is to ensure access to research, teaching, and learning materials—regardless of format—for current and future scholars. While the Library takes care of its analog and digital collections under the same principles of preservation, there are differences in handling the formats. More to the point, digital items are subject to change, decay, loss, and obsolescence at an extremely advanced rate when compared to paper, board, and thread. Analog records can potentially last hundreds of years in one place when kept properly (like a book in a library), but digital records must be moved from dying media, transferred between virtual storage locales, and replicated in new formats in order to persist for even just a decade or two. Individual optical media items (CDs and DVDs) can die within five years. Preservation departments will have to intervene much earlier in a digital object’s lifespan than that of a physical book or manuscript in order to save or even read content.